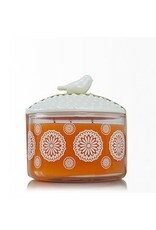 Thymes Mandarin Coriander 3-Wick Candle with Bird Lid - Miam! 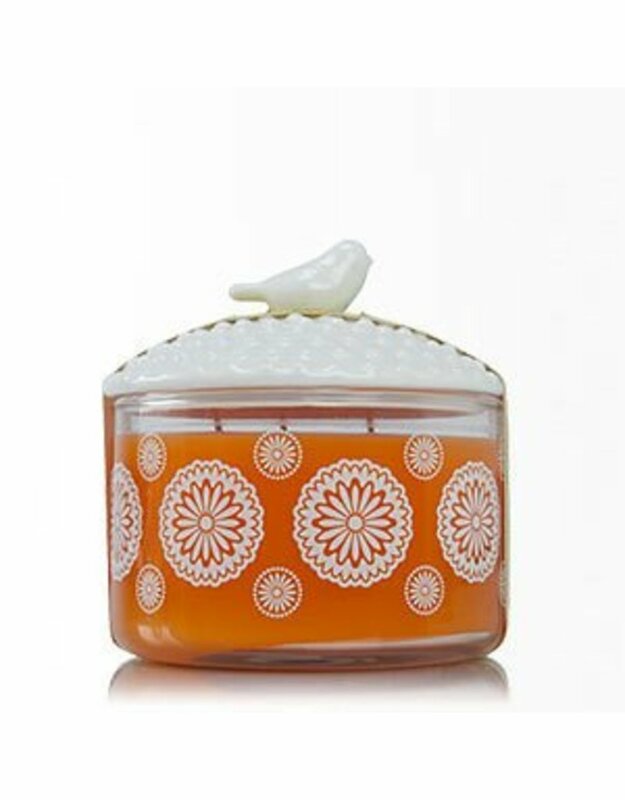 This charming set pairs a ceramic songbird top with a Mandarin Coriander scented candle. Releases the fresh, bright citrus scent of cold-pressed mandarin oil, just-peeled oranges and crisp, aromatic coriander. Scented candle made with food-grade paraffin wax and lead-free wicks. Container and lid are reusable, lending new meaning to “fresh, clean, green”! An ideal gift for all lovers of Mandarin Coriander.